For Janet Mungai, in business, the big mistake many people make is trying to force an interest onto themselves instead of pursuing their passion. This piece of business philosophy is what guides Ms Mungai, a lawyer who for some time earned her living representing clients in court. But the prospects of growth in her career notwithstanding, she quit her job and went on to pursue her interests in the property industry in order to tap into the lucrative opportunities in the sector as well as help eliminate fraud. “I studied law at the Kenya School of Law and became an advocate of the High Court. After a while, I decided to venture into business, at one time, I thought of starting a Non Governmental Organization, but something told me to venture into the property market and I am glad I did,” she says. However, switching to private business, as she came to learn, demands doing research as well as establishing contacts with like minded people, a task which she says is not easy. It is about three years since she graduated from law school. 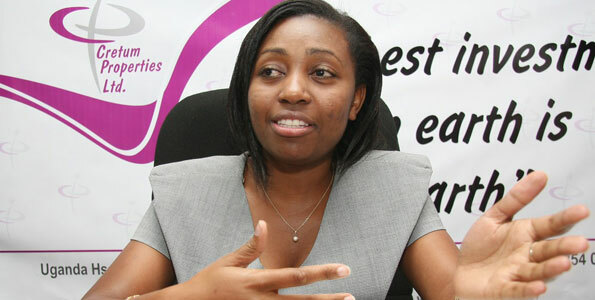 And now she is the managing director of Cretum Properties Ltd, a rising real estate business in Nairobi. Cretum Properties which she runs together with her co-director Mburu Kinyanjui specialises in buying and selling of land. 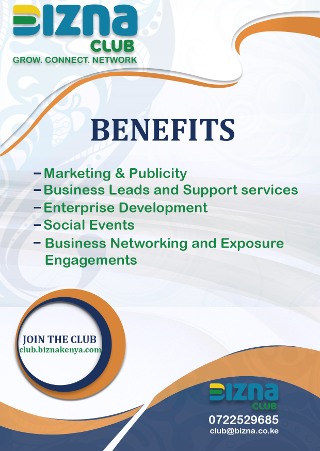 At the moment, the firm has opened offices in Nairobi and Thika town. And in an attempt to win more customers, the firm buys large tracks of land and subdivides it into smaller plots which are manageable, convenient and affordable for sale to a majority of Kenyans for subsequent development. “What is keeping us in this competitive and complex business is trust. Land business is tricky because there are a lot of conmen in this industry. Our customers range from individuals to corporate”. Depending on the location, size, and distance from the city, the cost of the company’s plots of land vary ranging from Sh180,000 to around Sh1.5 million for instance. “The majority of Kenyans, especially those living in urban centres like Nairobi are tired of paying rent, which keeps increasing. They need to own their own homes. And this is another reason why I opted to invest in the property market,” says the former Kagwe Girls student. And since some customers may face challenges raising the required amount, the firm has a provision for potential clients to make a deposit and then honour the balance within a period of time, say, six months. Upon completion of payment, she adds, we process title deeds for our clients and present the title to them within the shortest time possible. Her company also has an eye on virgin land in prime areas particularly those along major roads and near key development zones in the country. “We take responsibility of installing electricity and water, construction of feeder roads and ensure security in the land. The company has undertaken five successful projects within Mavoko Municipality. These have been sold, title deeds processed and delivered to the buyers. “We are organising for grand opening of 170 hectares of land in Kisaju, Kajiado, early this month,” she notes. Have you forgotten your career in law? “No. I’m a lawyer and always will be. Just because I’m not standing in the court of law to argue cases does not mean that I have forgotten law. I still offer legal advice to my clients who come to buy land here,” she says.